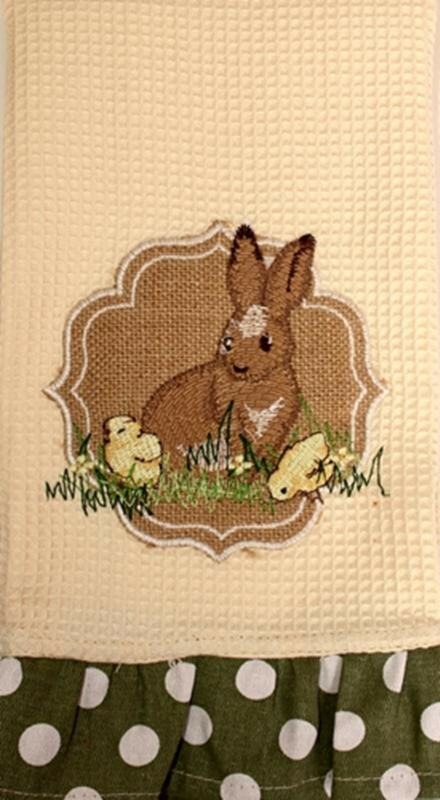 Jute Bunny Towel, 22" x 16" Poka-dot sage ruffle on cream waffle fabric. Machine wash in cold water ad tumble dry. Creatively developed in America. Manufactured in America.